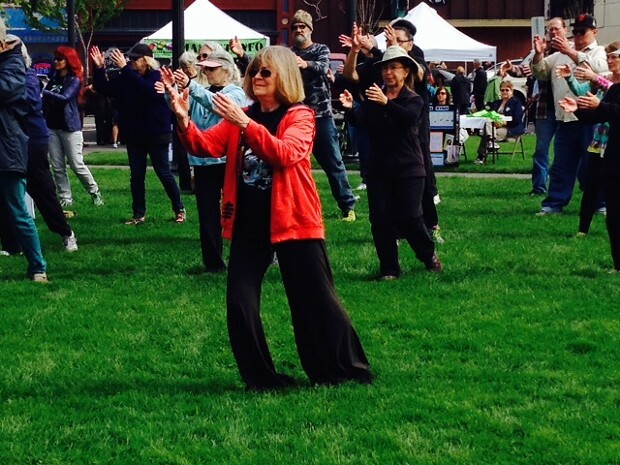 On Saturday, April 27 th , at 10 AM, hundreds of thousands of people, all over the world, will be participating in World Healing with World Tai Chi and QiGong Day. Over 90 countries will be involved. By gathering and practicing different forms of Tai Chi and QiGong, a global wave of healing energy will move from time zone to time zone across the entire planet, demonstrating and creating a common vision of hope and healing for the planet. Author Eckhardt Tolle says; “Tai Chi will play an important role in global awakening”. Yang Style Sun Style, Tai Chi Made EZ and Swimming Dragon will be demonstrated and taught to those who are interested in participating. Contribute to your planet…..learn to reduce stress naturally. Come and join us No experience necessary. Open to the public. Call Glenda Hesseltine at 268-3936 for more information.